Dubai’s best living experiences. At Dubai’s best locations. Carlton Hotels & Suites were created for discerning travellers. Those who seek the promise of value and affordability, but without the compromise of style, personalised service and thoughtful amenities. This is why The Carlton Group offers hotels in Dubai designed to ensure a relaxing and rewarding experience – whether for business or for leisure. Each hotel destination is centred on one of Dubai’s best locations, surrounded by vibrant attractions, business hubs, shopping paradises, dining must-go-places and enchanting nightlife. Each hotel destination also enjoys the perfect balance of price and comfort – with experienced teams that combine skills, innovation, discipline and professionalism; resulting in excellence in guest services, hotel management and all operations. 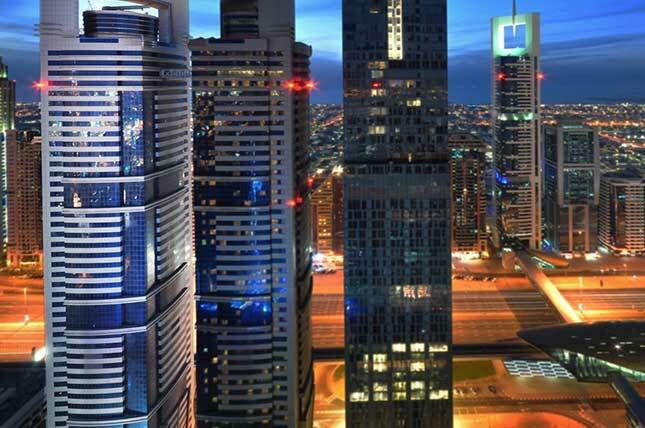 A prime city centre location at Sheikh Zayed Road. Easy access to the Dubai International Airport, Dubai Mall, the Burj Khalifa, the Dubai World Trade Centre and Exhibition Centre, Dubai International Financial Centre and many of the city’s best known landmarks. Spacious and well-appointed accommodation with the smallest room being an expansive 42 sqm. Elegant and sophisticated living with gracious service. This 4-Star Hotel is your oasis of refinement at the heart of Dubai’s business beat. Located within the heart of Deira, within easy reach of Dubai Creek, the Dubai International Airport, Dubai Metro stations and the Dubai World Trade Centre. An age-old hospitality experience that meets a new-age modern feeling. Unparalleled service, beautifully appointed rooms, stunning decor, international dining and unmatched value. Reminiscent of an era of elegance with rooms ranging from 32 sqm to 250 sqm. This 5-Star Hotel is just what you need for a business trip or a holiday with the family. Unrivalled views of the lifeblood of Dubai – the Dubai Creek. 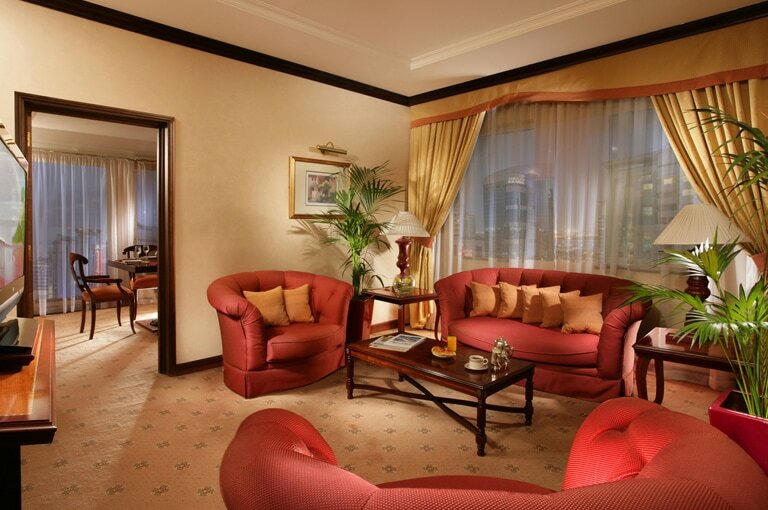 Deluxe rooms and suites designed for both business and leisure travellers. Located at the very heart of Dubai on Baniyas Street, close to Nasr Square, with a short walk to the Dubai Metro Station, and minutes away from the Gold Souq, the Spice Souq and Dubai’s traditional markets. All this with 40 years of refined experience in providing the finest quality of service. This is arguably one of the best 4-Star Hotels in Dubai.